While improved survival in lung cancer is linked closely to detection at earlier stages, many symptoms, such as cough, are very common and are rarely associated with serious diseases like lung cancer. This makes accurate and early diagnosis of lung cancer an important challenge for General Practitioners (GPs). 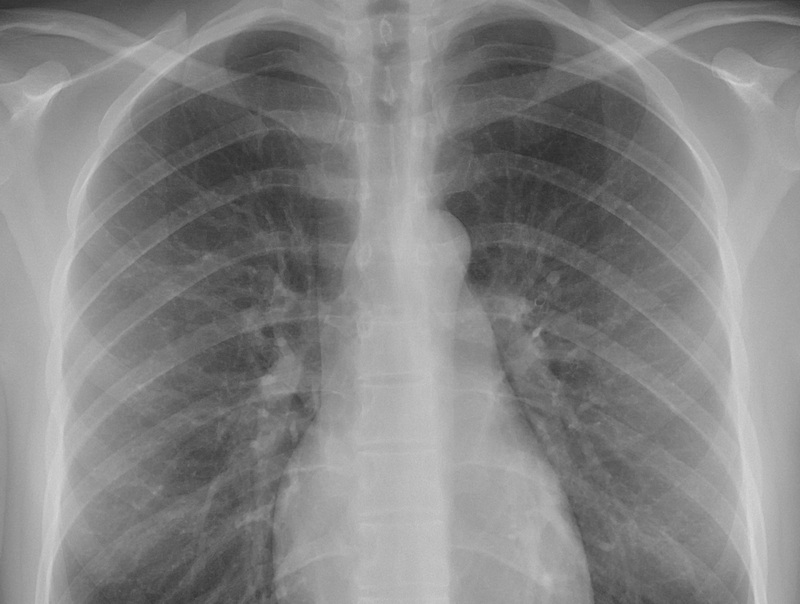 Chest x-ray is a common investigation requested when GPs suspect their patient could have a lung cancer, but the x-ray result is often normal or unremarkable even in patients who continue to have symptoms. Chest x-rays are not always accurate and some patients (approximately 20%) who have a lung cancer may have initially had a chest x-ray result that did not show lung cancer. Deciding how to best care for patients who could have a lung cancer, but who do not meet the criteria for referral for an urgent appointment with a specialist (two week wait), often because the x-ray result did not indicate lung cancer, is a conundrum for GPs. This project will generate a tool that will estimate the risk of lung cancer (‘positive predictive value’) for lung cancer in smokers and non-smokers who have negative chest x-ray results in combination with particular symptoms. A database of which contains symptom and outcome data on approximately 8,000 patients who presented for a chest x-ray because of suspected lung cancer will be supplemented with data on the results their chest x-rays. This will be deidentified and analysed to work out the risk of certain symptoms being associated with a diagnosis of lung cancer despite a normal chest x-ray. We expect to produce a risk assessment tool which can be used by GPs to work out the risk of lung cancer in patients who have had a normal chest x-ray. We hope that this will allow GPs and patients to take better informed decisions about investigations following a normal chest x-ray. We have applied for grant support which will be required to fund a statistician to undertake the necessary statistical analysis for this project.